Place Vendome is the centerpiece of a magnificent eight-sided square, first laid out in 1699 to show off an equestrian statue of Louis XIV. The statue was removed amid revolutionary fervor in 1792, and replaced in 1806 with the Colonne de la Grande Armée. This was modeled on Trajan's column in Rome, and decorated with Napoleon's military exploits. The present column is a replica, however, as the original was pulled down during the 1871 Paris Commune. This square represents the best of well-heeled Paris, and is home to an abundance of exclusive boutiques, jewelers, and fashion labels, including Cartier, Boucheron, Trussardi, van Cleef & Arpels, along with several banks, the French Ministry of Justice, and the Ritz Hotel. Put Place Vendome into our Paris trip itinerary tool and find out what's close by, where to stay, and where to head next. Situated north of the Tuileries Gardens and east of the Église de la Madeleine. A large and beautiful square. 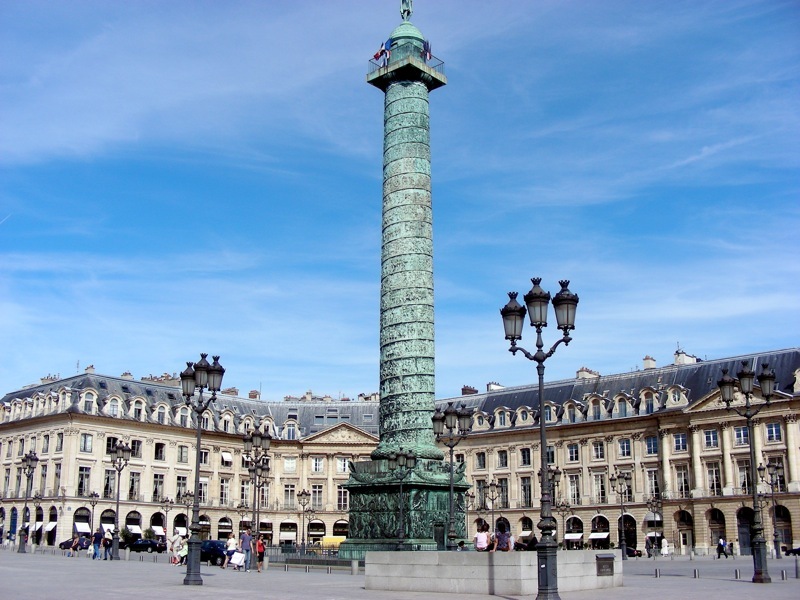 The Place Vendôme was built in 1702 as a monument to the glory of the armies of Louis XIV. Once existed in the center of the square an equestrian statue of the king's natural size that was destroyed in the French Revolution. 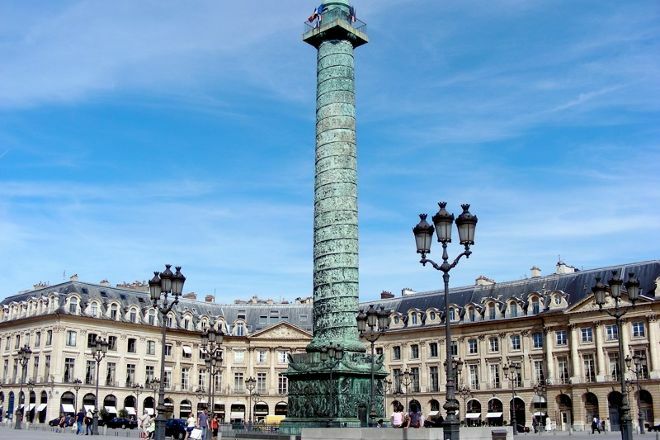 Column of Vendome, sent to build by Napoleao to commemorate the Battle of Austerlitz; (was demolished in May 1871 and later reerected) It's the most prominent element in the square. I read up on this monument as that was what I thought it was. The area was originally for houses but unfortunately bankers moved in and created opulent homes. Luckily the square has remained intact. Now there are bankers and jewellers among the buildings. As you can see the square was rather quite as it was early morning when we came to see it. Not many places to sit down and rest until you get to the park. Luckily we took our sunglasses as it was a gorgeous day in February 19. Not the most popular yet very interesting place to be. Strongly recommend to reap up some history on the Place Vendome itself as well as the famous Ritz hotel.